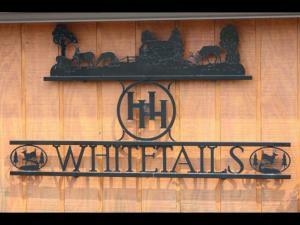 Integrity and quality genetics is our goal at Double H Whitetails. Double H Whitetails is located in Wayne County Ohio, 1 mile south of Mount Eaton. Growing up with hunting genetics in our blood, we started Double H Whitetails as a family hobby, little did we know how much we would enjoy watching the babies grow up and the bucks grow their antlers. We take our deer very seriously when it comes to quality. Striving for only the best, we spare no expense in advancing our doe herd. We breed with only the top sires in the industry, continually bettering our herd genetics. It is truly a blessing to be connected with the Deer industry; we have dearly enjoyed meeting a lot of deer farmers and getting to know you guys. If you are in the area stop by, we would love to have you visit us!